Born March 10, 1986 in Silver Spring, MD, Justin Kauflin began music at age 4 with Suzuki violin. After losing total vision by age 11 and a decade of classical violin and piano, he switched to jazz piano in high school at the Governor’s School for Performing Arts studying with Liz Barnes and Old Dominion University’s John Toomey. He attended the Vail Jazz Workshop, Betty Carter’s Jazz Ahead Residency, and received top honors in jazz festivals across the U.S. He began performing jazz professionally at age 15, most notably with the Jae Sinnett Trio. In 2012, he was the House Pianist at Havana Nights Jazz Club in Virginia Beach where his trio headlined regularly. 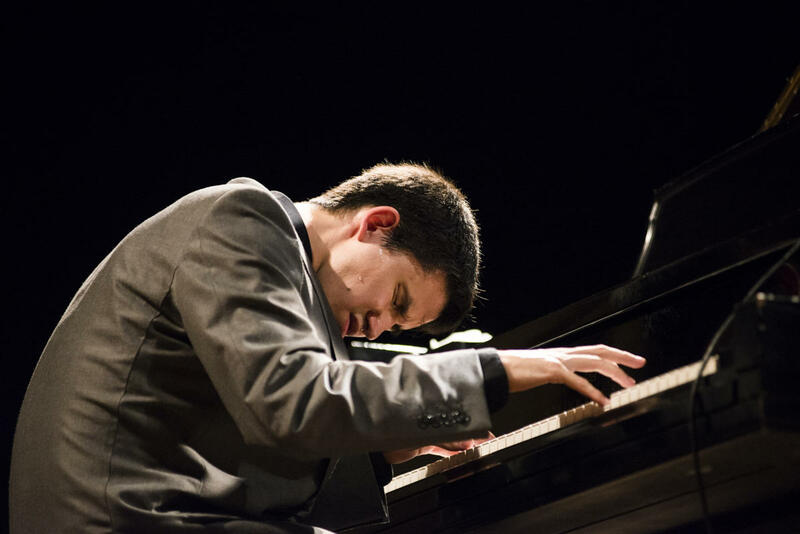 He won the VSA International Young Soloist Award, was voted VEER’s “Jazz Artist of the Year” and was selected as semifinalist in the prestigious Thelonious Monk Int’l Jazz Piano Competition. Quincy oversaw Justin’s second and fourth full-length albums, Dedication (2015) and Coming Home (2018). Dedication debuted at #6 on CMJ Jazz chart, #10 on Billboard’s Traditional Jazz Chart, hit #1 on JazzWeek’s chart and remained in the top 10 spot for 9 straight weeks.